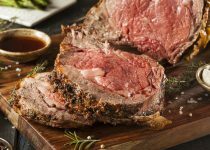 Juicy and succulent with a crackly Lemon Rosemary & Garlic herb crust, this prime rib is the perfect holiday main to serve your guests if an extra special experience is what your looking to create! Marinated in our NEW mouthwatering Garlic Horseradish Splash, served with your favorite mashed potato, and of course a delectable Horseradish Au Jus along side. YUM! Preheat oven to 425 degrees; line a baking tray with tinfoil. Make 8 small slits into the rib roast (4 on top and 4 on the bottom) about ½” - 1” deep; pour the Garlic Horseradish Splash evenly on top of the roast into the slits you just made. Set aside for 2 hours. In a bowl, combine Lemon Rosemary & Garlic seasoning, sea salt, cracked black pepper, dijon mustard and olive oil. Rub this entire fragrant mixture all over the rib roast, covering it completely. Place the roast with it's fat-side up and ribs down onto the baking sheet, and place the roast into the oven; cook for 45 minutes at 425, then reduce the heat to 375. 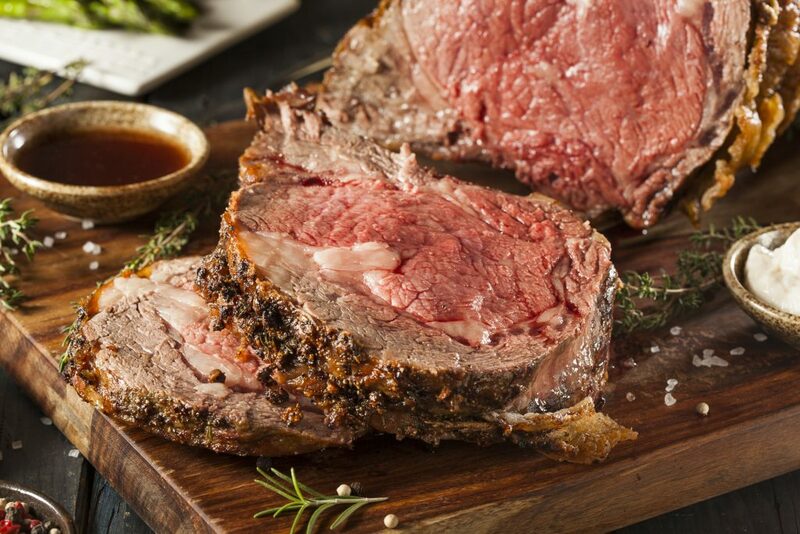 Continue to cook for another 30 minutes at which point you will cover the roast lightly with foil, and allow it to continue to cook for an additional 30 minutes or so, or until a thermometer inserted into the center of the roast registers 135 for medium rare, or 145 medium. Remove the roast from the oven, lightly tent with foil, and allow it to rest for about 20 minutes. Remove roast from pan and begin to prepare Au Jus. Add the pan drippings into a small heavy-bottom sauce pan, and add the beef stock into the drippings along with the red wine. Turn the heat to medium; bring to a simmer, and allow it to reduce by roughly half, for about 20 minutes. Finish with a pinch of salt and pepper, if necessary. Serve the Au Jus, hot, on the side or poured over your meat and potatoes.